Order now to get your order delivered on 29/04/2019 Monday 1 hour delivery timeslots. You're busy. You need a helping hand. Wow is a from-birth hug on wheels for your baby - with all the extras. You asked. We delivered your ultimate dream machine with features to fit your life. Wow has the smoothest transition from pushchair to pram yet, plus exquisite detailing and snug features. From the telescopic leatherette handle to the fresh air panel, Wow makes your life a breeze. No need to buy separate pram and pushchair with Wow - and it has Port 0+ car seat connectivity to connect up long journeys from A to B (car seat included). It's stacked with on-the go solutions, from the one-handed recline and leg rest adjustment, to supersized basket with hideaway compartment. Wow wants to make your life easier. Crafted for comfort with a deep hugging seat and sporting the finest woven fabrics with every stitch carefully considered - Wow's exquisite because your baby is. With everything you need from their first day, Wow's your all-season, all-action hero. Prepare to be wowed. You're busy. You need a helping hand. Wow is the from-birth hug on wheels for your baby – with all the extras. You asked. We delivered your ultimate dream machine with features to fit your life. Wow's the from-birth 3 in 1. Built by Cosatto – and parents. 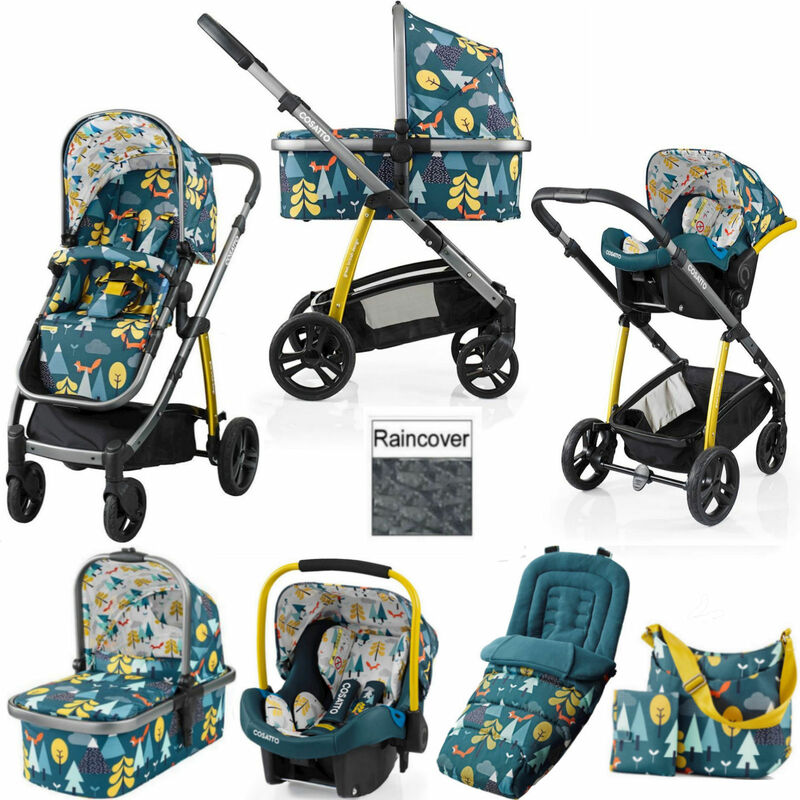 It includes chassis, carrycot, parent & world facing seat unit, raincover, 0+ car seat & coordinating footmuff and changing bag. No need to buy separate pram and pushchair with Wow - and it has Port 0+ car seat connectivity to connect up long journeys from A to B (car seat included). Wow also fits car seats from other leading brands. Wow has the smoothest transition from pushchair to pram yet. Plus with the gliding telescopic leatherette handle to the smooth compact fold, Wow's one sleek system. From the one-handed seat recline and one-hand adjustable calf support to the super-sized basket with handy hideaway pouch, Wow's stacked with on-the-go solutions. From the structured hood with extendable sun visor to fresh air panel and raincover, Wow makes your life a breeze. Wow's crafted for comfort. With the deep seat, exquisite tailoring and upholstery in the finest woven fabrics, every stitch is carefully considered. Wow's exquisite because your baby is.